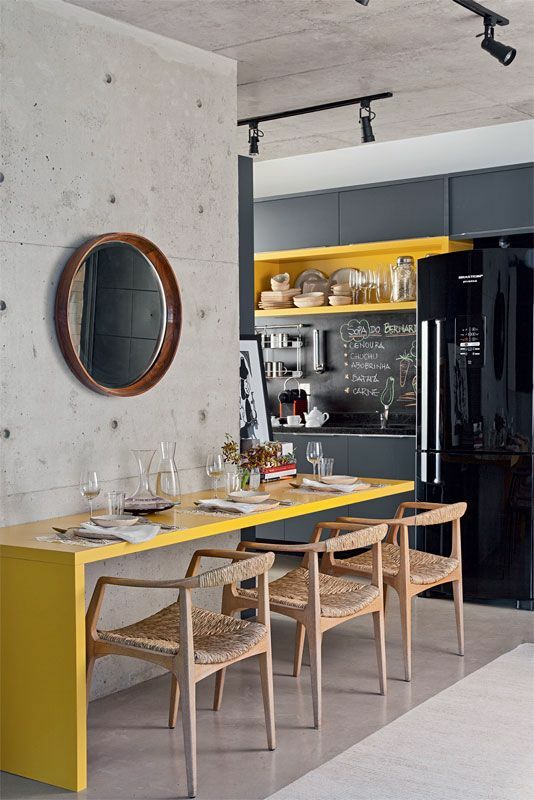 Yellow is my favorite colour and I am not scared to use it in my home. My open plan living room is a combination of White background, Grey (I`ve managed to finally buy four Emeco Broom chairs in Dark Grey) and spots of Yellow (my son Stokke high chair, cushions and kitchen accessories). I would love to add more as Yellow is the colour of sun and happiness and when I spotted these images I immediately put them in my Pinterest board and definitely will go back to them when I will be able to afford a new, bigger house for my growing family! 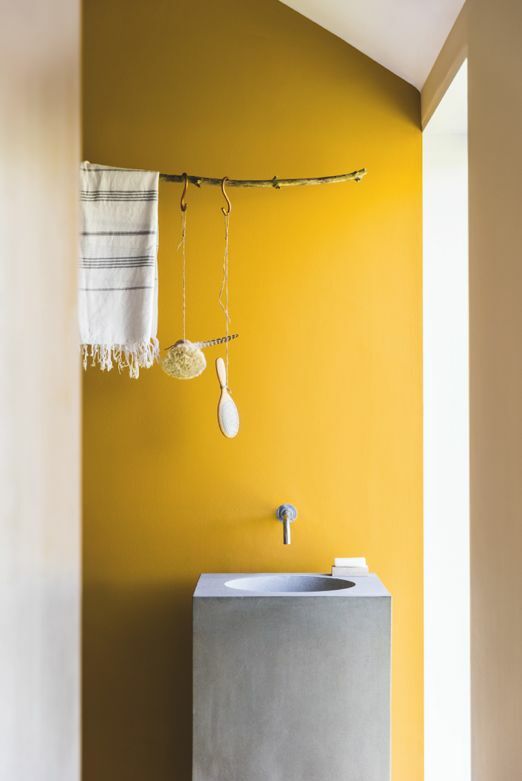 I like to combine Yellow with Grey – rather than Black – but if you are keen on colours, Yellow looks great with Fuchsia and bright Green as well as Brown. Material wise I love Yellow with raw wood and exposed bricks. Have a look below and be inspired. Have a look in store for Brio Floor Lamp in Sun and Emeco Broom Stacking Chair in Yellow, suitable for outdoor. 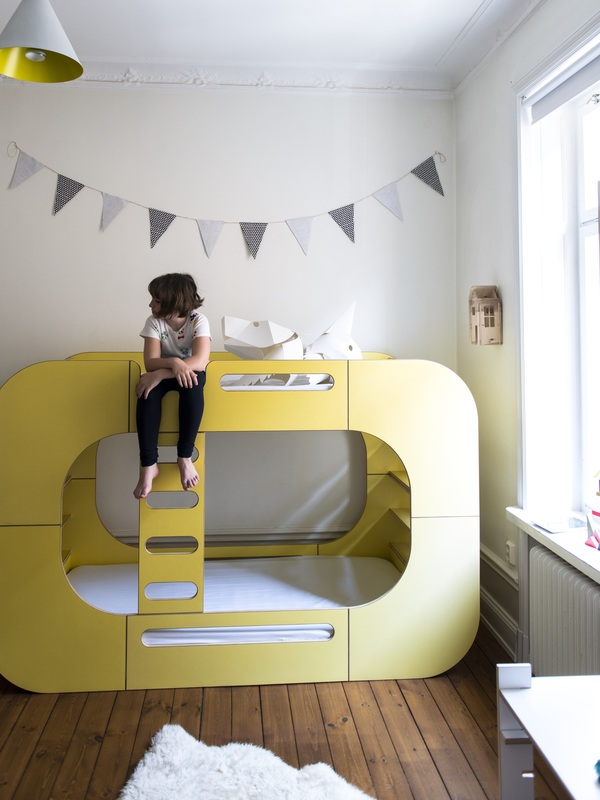 For the children bedroom, the amazing IO Bunk Pod, bunk bed and the Organic Cotton Teepee by Deuz.